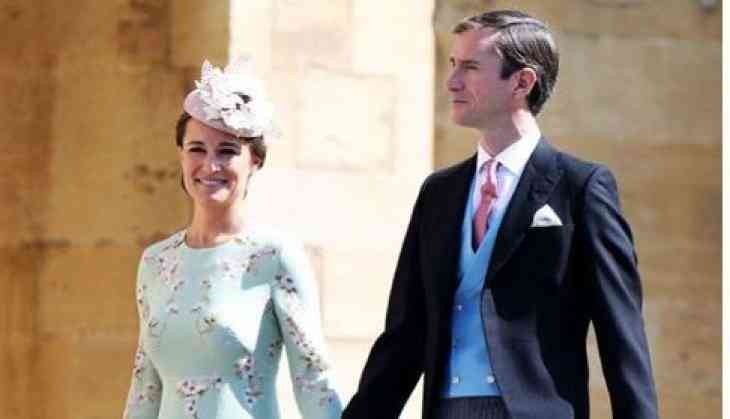 Kate Middleton's sister and world’s most famous bridesmaid Pippa Middleton has arrived at St. George’s Chapel for Prince Harry and Meghan Markle‘s royal wedding with husband, James Matthew. 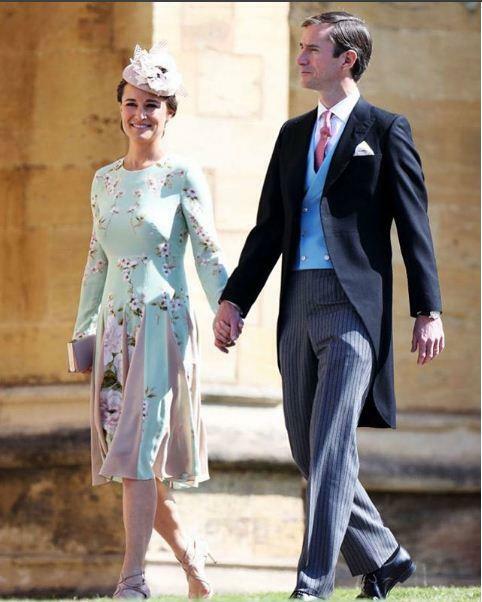 Pippa was seen in a mint green and pink floral dress as she held her husband’s hand while walking into the service with mom, Carole Middleton, dad, Michael Middleton and brother, James Middleton. The couple got married last year and last month she revealed that she is expecting her first child with husband James. Her pregancy news broke just days before big sister Kate was admitted to St. Mary’s Hospital in London last month, where she gave birth to Prince Louis on April 23. Although, her baby bump is not visible in a long sleeve mint dress with a drop waist, pleated skirt and floral designs. She wore her hair in a low bun with a small side braid tucked into it and her makeup natural, as she typically does. Matthews looked dapper in the same pale blue suit that he wore to his wedding as he walked beside his radiant wife.